The Generator is not currently connected but is serviceable. A very tidy and spacious Princess built by the renowned Marine Projects and designed for strength and sturdiness to go to sea. Also suitable for inland river cruising and with four cabins plus an excellent galley this boat would also make a sizeable liveaboard. It has the advantage of a generator, although this needs to be connected as the current owner hasn't used it. A must see to fully appreciate this Princess 41! 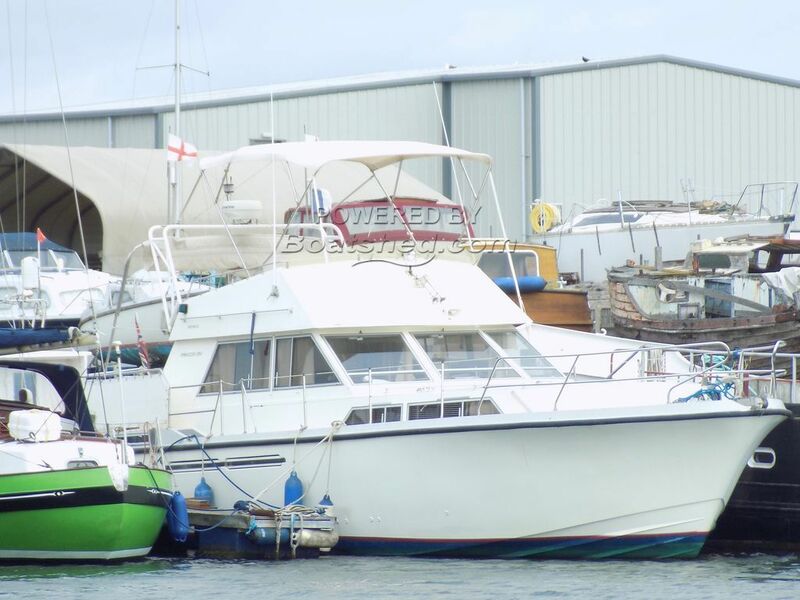 This Princess 41 has been personally photographed and viewed by Geoff Jaquest of Boatshed Suffolk. Click here for contact details.